Semester Two Parents’ Night is scheduled for Tuesday, April 4 from 6:30pm to 8:30pm. 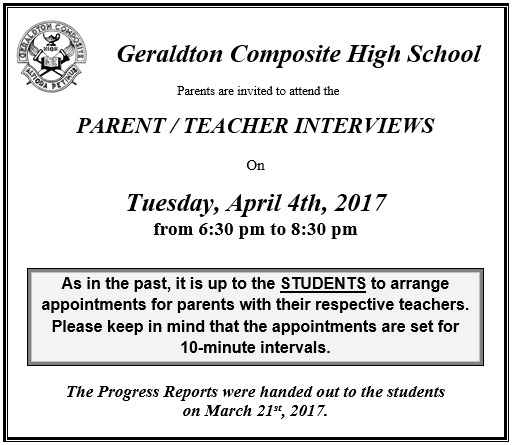 We encourage parents/guardians to come to the school to meet with teachers about student progress. Note that Progress Reports were distributed to students on Tuesday, March 21. Note that the school calendar has the incorrect date listed for Parents’ Night. We apologize for any confusion.